This year is the 10th anniversary of Rockstar’s Grand Theft Auto: Vice City. 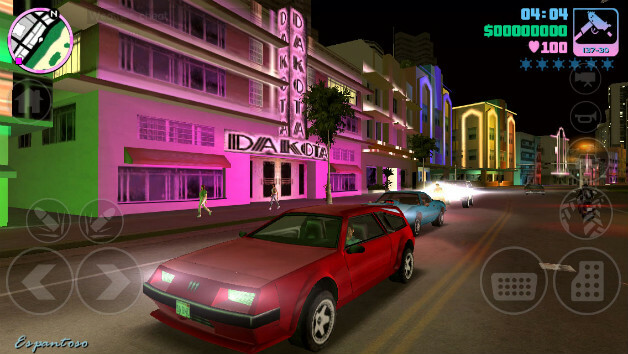 To celebrate the game’s birthday, Rockstar is releasing the entire Vice City experience on mobile devices (iOS available now, Android coming soon) with high resolution visuals and intuitive touch controls. In light of the game's launch, we caught up with Rockstar North’s Art Director, Aaron Garbut, to discuss all things Vice City, from his fondest memories working on it, to the game’s inspirations, to the lasting impression the title has made on the wider industry. Read on to find out what Aaron has to say about one of the best Grand Theft Auto games ever made. 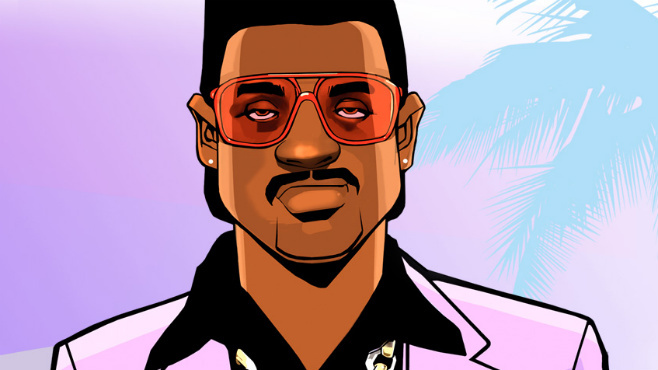 CraveOnline: It’s been exactly ten years since you helped develop Grand Theft Auto: Vice City. Looking back, what is your fondest memory while working on it? Aaron Garbut: For certain that’s been forging the friendships and working relationships with everyone involved in making the games over the years. It’s always been a team effort right from the start and from the beginning the team both internally in Edinburgh and in NY were very tight. Over the years though, many of us have become great friends. Getting to work on something creative, incredibly successful and groundbreaking with your friends is an amazing and rare thing and something I hope continues. For Vice City, there were a lot of moments that just clicked. When we first blocked in the map and drove about it for the first time; when we put in the helicopters and flew over the city; seeing the dancers in the club; driving down Ocean Drive at night; putting in the hardware store for all the less conventional weapon; the first time we had the player change clothes; driving over ramps in boats; smashing up a car with a hammer for the first time; being chased by golfers as I ran off in their golf cart; seeing the models of Love Fist for the first time; driving around on a moped the day they went in… It’s 10 years ago but these and so many other moments are still clear. It’s fantastic seeing a game evolve, especially when it happens quickly. Seeing everything click into place, having the opportunity to poke and prod it, try things out and learn from it all. Tiny things can be seminal moments. One of Vice City’s best aspects is how it captures the glitz and glamour of 1980s decadence, yet with a very distinct Grand Theft Auto over-the-top feel. What was the challenge in making that happen? Did it prove to be one of the hardest things to capture in the game? Of all the things we went through putting the game together, this was relatively painless. Like it or loathe it, the ‘80s was a decade that stood out. Its clothing, culture, music, and general vibe are unmistakable. We all grew up in the '80s and it wasn’t hard to tap into that, build on it with some research and we were most of the way there. Can you maybe detail some of the research you did in order to nail the feel of the 1980s? Our research time supplied the artists with a huge volume of reference on everything from clothing to technology, and the rest was based on our own photos from the time that we all spent there. The entire team flew out to Miami not long after we had finished work on GTA III and tried to soak in as much as we possibly could – it’s very different from the kind of meticulously planned research that we do these days, back then it was just splitting up into small teams and roaming the streets looking for the kind of atmospherics we were after, whether it was iconic lighting, architecture or simply just a cool feel. There was a lot of watching Miami Vice to get in the swing of things. And I do remember finding a car in a side alley with bullet holes in it – definitely nailed the vibe for me. Vice City definitely takes inspiration from some famous movies – most notably Scarface – but can you elaborate on what other sources of inspiration, film or otherwise, you guys used to create the world and characters of Vice City? Sam (Houser) was very into Miami Vice. I remember him showing me his TiVo filled with the stuff. That was a big influence, I religiously watched episode after episode. Carlito’s Way was also an influence for its great characterization and portrayal of interesting, nuanced criminal characters. Speaking about this new re-release to celebrate the game’s 10th anniversary, has anything new been added outside upscaled visuals and touch controls? This is the best version of Vice City we could possibly make – essentially, the mobile version is the original PC version with the advancements in character modeling that we added for Vice City on Xbox, as well as added touch-screen specific camera controls to make it much easier to quickly look around. Above all, it’s amazing to be able to pull up your phone and see the entire beautiful, vibrant city spring to life. What do you feel is the biggest contribution Vice City made the video game industry at large? I think along with III and San Andreas, it helped create a new genre. 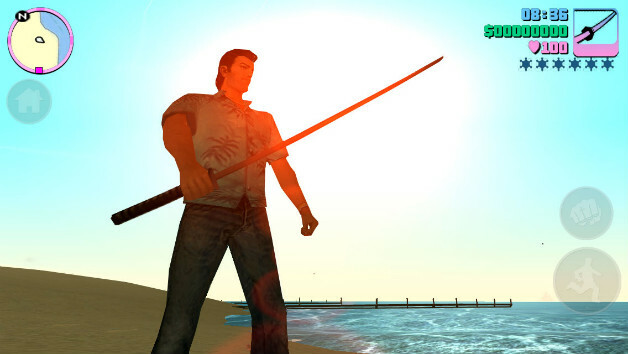 Open world games are popular today in no small part because of Vice City’s success. I think it was also one of the first baby steps for interactive storytelling and it helped to show that cultural relevance can be as important as gameplay in the enjoyment of a game. I think it’s something we have built on but I think Vice City showed that a game can be an experience – it doesn’t always need to involve purpose. Even in a video game, a defining moment can just be a sunset and the right song. As they say, hindsight is 20/20. So, is there anything you would have changed about the game? Or anything you would have done differently looking back? Lastly, favorite Vice City moment? Go! The first time we got the chainsaw working. Erik Norris is the Gaming Editor for CraveOnline. You can follow him on Twitter @Regular_Erik.